After a series of events, the lives of a security operative and an assassin become inextricably linked. After a terrifying close call with Villanelle, Eve has the mole ensconced in a safe house, but Villanelle is not far away. When a Russian politician is murdered, a bored MI5 security officer is tasked with protecting the only witness and soon finds herself on a collision course with a violent and extraordinary assassin. 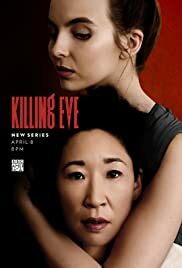 A grieving Eve learns about the apparent existence of a mole, while Villanelle and two other assassins are tasked with killing a member of British intelligence. 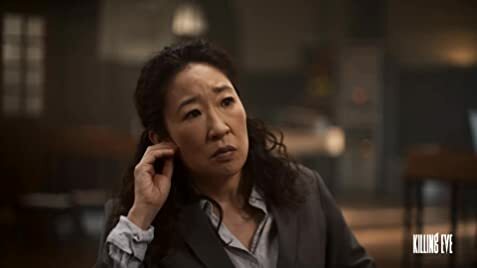 How many episodes of Killing Eve have you seen? 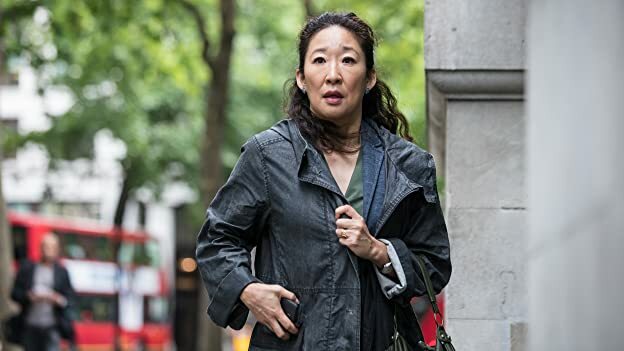 Actress Sandra Oh, perhaps best known for playing Cristina Yang on "Grey's Anatomy," is currently starring in the dramatic thriller "Killing Eve." Who else has she played? A six-part comedy series adapted from the award-winning play about a young woman trying to cope with life in London whilst coming to terms with a recent tragedy. A reporter confronts the psychological demons from her past when she returns to her hometown to cover a violent murder. Set in a dystopian future, a woman is forced to live as a concubine under a fundamentalist theocratic dictatorship. The apparently perfect lives of three mothers of first graders unravel to the point of murder. A contemporary thriller featuring the Royalty and Specialist Protection Branch of London's Metropolitan Police Service. A heartwarming and emotional story about a unique set of triplets, their struggles, and their wonderful parents. A bipolar CIA operative becomes convinced a prisoner of war has been turned by al-Qaeda and is planning to carry out a terrorist attack on American soil. Seasonal anthology series in which police investigations unearth the personal and professional secrets of those involved, both within and outside the law. Follows the political rivalries and romance of Queen Elizabeth II's reign and the events that shaped the second half of the 20th century. Eve is a bored, whip-smart security services operative whose desk-bound job doesn't fulfil her fantasies of being a spy. Villanelle, is a talented killer who clings to the luxuries her violent job affords her. These two fierce women, equally obsessed with each other, will go head to head in an epic game of cat and mouse, toppling the typical spy-action thriller. Q: Will Killing Eve be available on Netflix Canada? Q: Season 1 is being re-shown as 'Bonus Edition's. It looks like the episodes are longer. 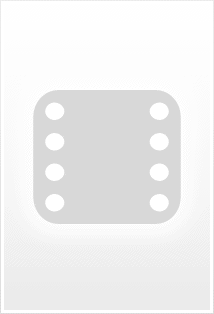 What's the difference - what's been added? Having rated this series with an eight, I obviously have not much to say against it, but one thing baffles me: he first episode set in Moscow. After a few shots I checked the filming location and it was exactly the one I thought it was- Bucharest. Not only does it look nothing like Moscow, but they didn't bother to hide somehow the obvious signs telling that is not a Russian location. The Romanian flag is largely seen on the building of the Court of Law, the shop signs, the ads, everything is in Latin letters, as Romanians write. Even the hotel sign is in Latin letters, which you won't actually see in Russia. A botched job in an otherwise good series.